After all the hard work put into getting website traffic, 95% of website visitors don’t buy. Frustrating isn’t it? 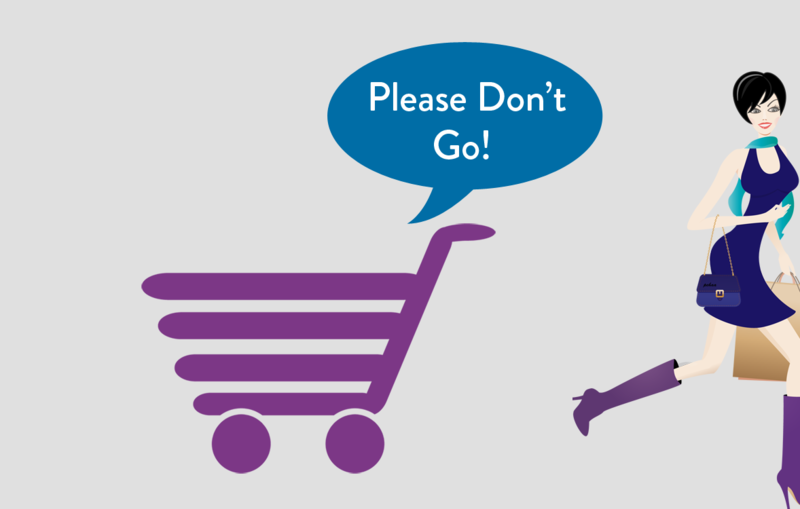 Of those customers who add something to their shopping cart, between 65%-80% of them never complete their purchase. With more and more browsing occurring on mobile devices, the problem is only getting worse. It’s even easier for a potential customer to get distracted on mobile with all the notifications and alerts vying for attention (hey, look, a fun cat video…). 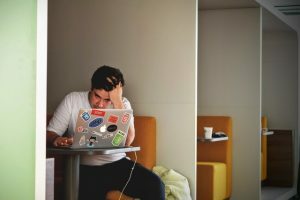 There is a ton of research about the reasons and although they’re known, many merchants have a hard time tackling them. Here’s a quick way to tackle some of them and bring more of those visitors and idle carts to the finishing line. Message Mate – A simple way for customers to text you with questions or problems. Message Mate is an elegant add on to your website that customers click on to send you a message from desktop or mobile. It’s neatly tucked away on the side (on desktop) or at the bottom of the page (on mobile) making it accessible from every page on your site. When you reply, the message shows up as a text in the customer’s phone. That’s what makes it so powerful – 97% of texts are read by the recipient. When customers tap the number on the Message Mate widget, their native messaging app opens. So easy! 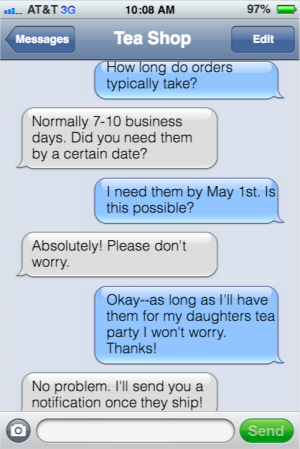 These are real conversations businesses are having with customers through text messages. Product features – Does the product do X? Is it compatible with Y? Product customization – Can I get a quote for an engraved version of this for a bulk order? My coupon code isn’t working? or Is there a coupon code for this? My item hasn’t shipped yet. I want to cancel my order. Another website is offering this product for a lower price. With a few quick texts, these situations can be turned into a sale made or saved. No need to waste time on the phone having uncomfortable or long conversations. You decide whether the request is worth it or not, but at least you get a chance to save the sale. (PS- We know the answer to many of your customers’ questions are on the website, in the product description, or in the FAQ, but let’s be real, most of us are too lazy to look and that cat video is much more enticing). Get our Message Mate texting widget for your ecommerce website and start communicating via text. Sign up for a 14 day free trial or schedule a demo with us to see how it would work on your website.